(May. 08, 2013 3:33 AM)The Supreme One Wrote: This sounds awesome; why didn't any of these ideas get put into action? Is there any possibility of having an official Team Tournament someday? Doesn't hurt to try a team tournament once or twice & if it goes wrong, which is understandable, we could end it there. Otherwise, all this hard work will go to waste. If scout25 and I host a tournament, we will have an unofficial tag team tournament afterwards. We can post on how it goes if you want. Where would you be hosting the tournament? Just wondering. I think if every team can keep track of their wins and losses than an appointed group of people can have a thread for team beypoints or maybe even a a completely different system for teams. This is the thing about tag team tournaments, if the WBO started that basically for the rest of your WBO career that blader you go into your first tournament with would be your partner. Here are numerous problems with that. - What if there is an odd number of bladers at the tournament? - If a blader without an account shows up to the tournament and everyone has a partner, who will be there partner? These were just a few problems until all of these can be solved, I honestly think the WBO can move toward this goal. I don't want to burst anyone's bubble (I would love to have tag team tournaments) but these are the hard facts. When you enter the stadium with me you feel fear for the first time! (Jul. 16, 2013 12:31 AM)Yuko Ray14 Wrote: This is the thing about tag team tournaments, if the WBO started that basically for the rest of your WBO career that blader you go into your first tournament with would be your partner. Eh, no, you could change whenever you want, because matches would be processed between players, not between given teams, which is also why we think a Tag Team format is the only one really possible. (Jul. 16, 2013 12:31 AM)Yuko Ray14 Wrote: Here are numerous problems with that. No ... Matches would still be between players, it would just be the overall format of the tournament that would be better, but we already process different formats/molds of events. No, that is what I explained. We would otherwise have to create new accounts for each team, and that would make the user count simply inaccurate. Why would you need to do that when there would be at least two matches per tag team-battle anyway ? No, for the reasons stated above. Even with your misunderstanding of how the battles would be processed, I do not comprehend how this would be a problem or why tag teams could not be formed at the tournament. (Jul. 16, 2013 12:31 AM)Yuko Ray14 Wrote: - What if there is an odd number of bladers at the tournament? That is the only true issue hah. (Jul. 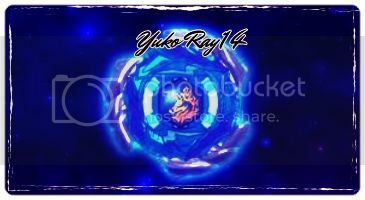 16, 2013 12:31 AM)Yuko Ray14 Wrote: - If a blader without an account shows up to the tournament and everyone has a partner, who will be there partner? It could just be someone else who has no account, or someone who has an account already; why not ? (Jul. 16, 2013 12:31 AM)Yuko Ray14 Wrote: These were just a few problems until all of these can be solved, I honestly think the WBO can move toward this goal. I don't want to burst anyone's bubble (I would love to have tag team tournaments) but these are the hard facts. See, we are ready hah. I think that, while it would be slightly exclusive (as in excluding) I think that tag teams should be formed when the thread itself is made, and the people who sign up would be the only ones able to participate. This would take care of the odd number problem, along with others, but I'm sure this idea may have as many, if not more, flaws. Team battles are out of the question I believe. Honestly, we shouldn't follow the anime, it's not always right. Tag teams would be way easier and efficient. So can we do it. It wil be cool if we could tho. I don't know if this was discussed, but I would like to suggest that each member of the team use only one bey per match. That way, changing beys between rounds would not happen. (Jul. 18, 2013 1:14 PM)Dual Wrote: Team battles are out of the question I believe. Honestly, we shouldn't follow the anime, it's not always right. Tag teams would be way easier and efficient. There is no reason for team battles to be out of the question. I'm sure there is a way to make it work. We just need enough participants. There is no reason? Besides the fact that it would require at least 32 contestants, assuming we would have four person teams, and some areas (such as Chicago) have trouble getting 8 participants. Also, it would require some planning beforehand as to who would battle when, when in tag tournaments it would just be alternation. I believe that team tournaments could be incorporated as a subcategory in larger tournaments with many many people. This way we would not have the possibility of lack of participants. Addressing the second issue of planning. This is a very dedicated community, if people want a team tournament it is up to them to help plan it. (Mar. 29, 2014 2:57 AM)The Big Wave Wrote: I believe that team tournaments could be incorporated as a subcategory in larger tournaments with many many people. This way we would not have the possibility of lack of participants. Addressing the second issue of planning. This is a very dedicated community, if people want a team tournament it is up to them to help plan it. When will this happen because I have a team. (Feb. 05, 2019 1:35 AM)Rust lord Wrote: When will this happen because I have a team.